Have you ever noticed this on a Toblerone wrapper before? We have never ever noticed this. In all our years of eating Toblerone and buying buckets of it at the airport, we have never seen this on its logo. It's one of our favourite chocolate bars so we were quite surprised when this mum tweeted about what her son said. I mean, for birthdays, Christmas and just about ever holiday we go on we buy a bar of Toblerone. 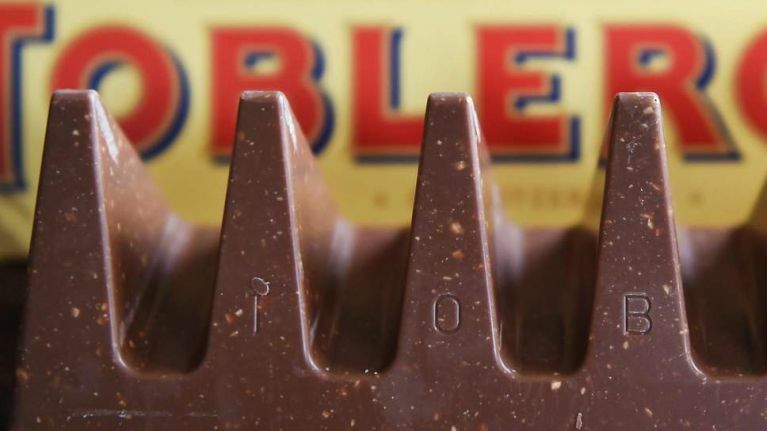 Toblerone comes from Bern, Switzerland. Also known as the city of bears. ? ?? omg a bear! Clearly my priorities have been elsewhere always. Eating them for 50 years never noticed that, your lads a genius, in my defense the wrapper is the last thing Im thinking about when I get one.